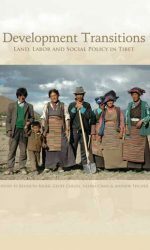 Gender In the Himalaya: Cultural Politics of Gendered Identity, Place and Positionality engages with the vibrant field of feminist scholarship and brings together a collection of papers by scholars who have long-term research relations with communities in the Himalayan region. 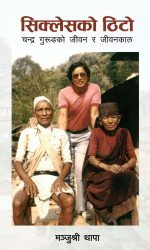 In considering the Himalaya as a frontier that is constituted by a range of context-specific forces as well as historically and politically positioned actors, the papers engage with the Himalayan region but are at once attentive to trans-local forces that configure gendered relations of work, mobility, mobilization, development, and activism. 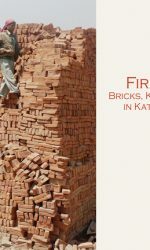 Through a critical reading of colonial and nationalist gendered discourses, the contributors demonstrate how gendered relations and subjects are configured through the projects of development, feminism, regional autonomy, and neo-liberalism more broadly. By drawing on their sustained engagement with specific field sites and participation with various local and non-local interlocutors, the collections offers a grounded assessment of the ways that feminist readings of everyday practices can illuminate cultural politics of difference, inequality, and exclusion. Of additional concern to several of the authors are the politics of knowledge production, including the ethics of transnational feminist scholarship, and the politics of positionality in research and representation. Shubhra Gururani is Associate Professor of Social Anthropology at York University, Canada. Her research lies at the intersection of critical political ecology, feminist geography, and science and technology studies. In her work, through ethnography, she explores the everyday practices of gender, place, and nature as they co-constitute each other. She has conducted ethnographic research on the politics of conservation and social movements in the Kumaon Himalayas and her essays have appeared in the Journal of Peasant Studies, International Journal of Social Sciences, Gender, Place, and Culture. She recently co-edited a Special Issue of Conservation and Society and has been researching the politics of urban transformation with a focus on Gurgaon. Kim Berry earned her PhD in Anthropology from Cornell University in 1997; currently she is Professor and Chair of Critical Race, Gender and Sexuality Studies at Humboldt State University in northern California. Since 1992, she has conducted research in Kangra District of Himachal Pradesh, India, where she has focused on rural women’s movements for social transformation. Her research, teaching, and activist interests include transnational and intersectional feminisms; postcolonial queer theory; theories of space, place and identity; the gendered and racialized effects of neoliberal globalization; and the ethics of transnational feminist research.